What is your favorite gift shape ? A square ? A rectangle ? A weirdly shaped gift ? No matter, it is always fun to unwrapped a gift. 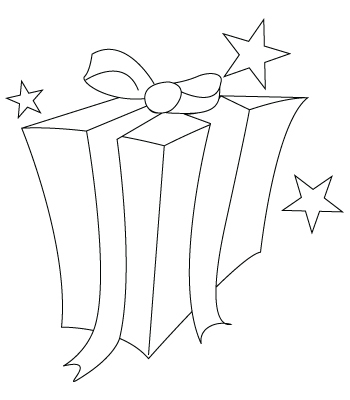 Here is a Gift coloring sheet. This entry is filed under Christmas, Miscellaneous. You can follow any responses to this entry through the RSS 2.0 feed. Both comments and pings are currently closed.